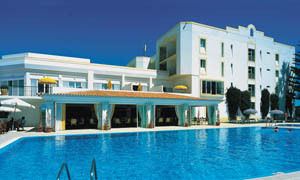 The direct flight from to Faro will see the finalists check in to The Stunning 5* Dona Filipa hotel in Portugal’s Algarve. The Hotel will host the players with the acclaimed championship San Lorenzo Golf Course determining who will be crowned Southern Matchplay Champions. Staying for 4 days / 3 nights on a Bed & Breakfast basis the finalists will in addition to playing 3 competitive rounds of golf have the luxury of playing the course first by means of an included practise round. The Finals format will see each of the finalists playing against each other in a mini league matchplay format over 3 separate days. 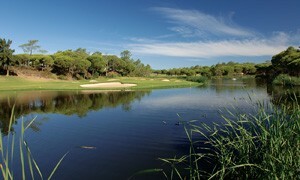 The winners of each match will receive 2 points with 1 point being awarded if the match is all square after 18 holes. The pair / individual with the most points following the 3 matches will be crowned Southern Matchplay Champions. Should points be tied after the 3 matches then winning margins will be used to determine final standings. Set aside the Atlantic Ocean the award winning San Lorenzo Golf Course is a perfect venue to host the finals of the Southern Matchplay. Recognised as the 3rd best course in the whole of Portugal and 23rd in Continental Europe the finalists are in real treat. The private members course isn’t overly long by modern day standards at 6822 yards however once you’ve takin the water, pines and unforgiving rough it is sure to prove a true test of golf for all. The stunning 5* beach resort is the perfect venue to relax and work out the strategy for the following days play. The 154 room hotel comes complete with Swimming Pool and tennis courts if you’re still energetic following your day on the course, for those wanting a bit more of a relaxing time the Spa and Wellness centre may come in handy.